Four hours of fishing without a strike had dispelled almost all hope of having fresh chinook salmon for dinner. My brother Andrew and I were thinking about reeling in our lines and pedaling our tandem kayak back to the harbor near San Francisco, California, when hundreds of gulls and pelicans began swooping and diving around a large purse seiner a kilometer away. The crew on the boat was fishing for anchovies, and we quickly realized what had happened. “They spilled their fish!” Andrew said. We raced toward the seiner and gathered all the fish we could carry—nearly 50 kilograms. If we couldn’t barbecue salmon, we would throw some fresh anchovies on the grill. But as we headed back to shore, I wondered if freshness was overrated. I had recently read about a method of salting small fish—guts and all—and letting them ferment for months. The process eventually yields a beautiful, amber fish sauce called garum—an umami condiment essential in Asian cuisine and, long ago, prized by the Romans. It was sometimes made with anchovies, I’d learned, and I decided I would give it a try. Fermentation was not new to me. I had been making kimchi—a Korean dish of fermented spicy-sour cabbage—for more than a year and a half, ever since tasting a friend’s homemade batch in early 2016. 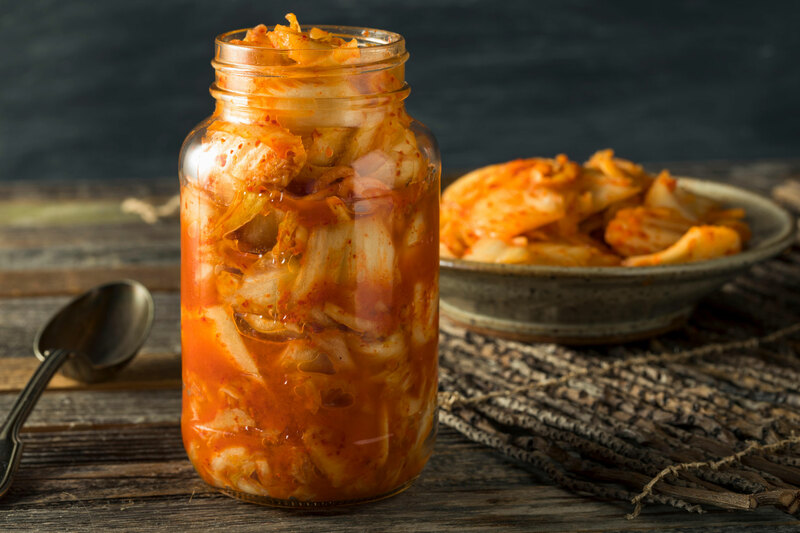 Lacto-fermentation was trending at the time, and countless gastronauts and chefs were making kimchi and sauerkraut and serving it as a garnish or side dish. Every week or so, I would combine shredded napa cabbage, onions, garlic, ginger, chili powder, and salt in a large mason jar, top it off with water, and watch the blend come alive, bubbling as lactobacilli bacteria proliferated, metabolized carbohydrates, and produced lactic acid. The process creates rich and meaty flavors, and the acidic brine preserves for months vegetables that would otherwise wilt in days or weeks. Eating fermented foods also has purported health benefits, such as improved immunity and gut health. I added heaps of kimchi to salads and dollops on cooked fillets of fish. In my first 18 months of experimenting, I consumed about 100 liters of kimchi. Fermentation hardly stops at cabbage—just about anything edible can be transformed by placing it in a jar with salt or brine and letting molds, yeasts, and bacteria do their thing. Kombucha, kefir, yogurt, beer, wine, sourdough, and miso are all made by fermentation. While exploring different kimchi recipes, I noticed something: many called for fermented shrimp paste. Curious about fermenting animal matter, I did some research. I discovered that beyond the trendy world of cultured tea, milk, and veggies, there is a less explored, almost morbid, realm where bacteria and enzymes are cultured in flesh, blood, and offal, mainly of fish. I read of rakfisk, trout or Arctic char served on Norwegian flatbread after spending months at low temperatures in tightly sealed containers; surströmming, which Swedes make by aging herring in barrels until infamously pungent; a Filipino dish called burong isda made by ripening rice and salted fish until creamy and sour like yogurt; and narezushi, produced in Japan by aging whole fish and rice for years. Of all the literature on fermented fish, most focused on garum, the esteemed fish sauce of ancient Rome. According to historical texts, Romans made garum by putting salted fish, guts and all, in clay pots for months to bake in the sun. Eventually, they strained a strong-smelling, honey-hued liquid from the ripened mash. In these products, wonderful things happen: enzymes originating in the fish convert fats and proteins into a variety of acids, which help preserve the flesh. The chemical changes, assisted by bacteria, also produce powerful aromatics that people either loathe or love. Canning and freezing have largely made these methods obsolete, but they are seeing a modern revival among gourmands. 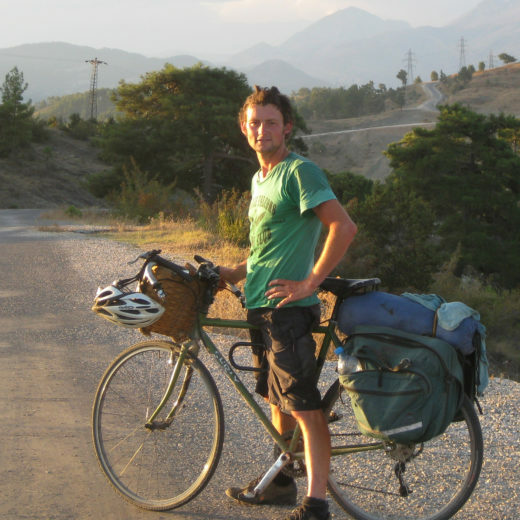 For instance, San Francisco chef Nick Balla makes fish sauce and a variety of fermented fish-and-chili pastes. He used scallop flesh in one batch of paste—it’s now six years old and still, he says, delicious. 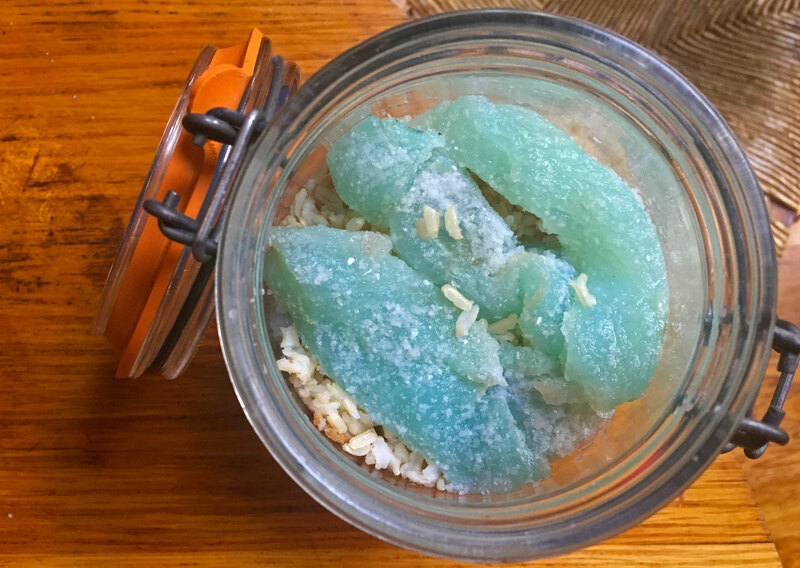 Balla has also developed his own interpretation of narezushi; he uses leftover brine from lacto-fermented veggies to marinate fish fillets packed in rice. I wanted a taste of this wilder world of fermented things, and when those anchovies arrived, I saw my chance. Following a basic garum recipe, I filled a couple of mason jars with fish heads, gills, and innards. I poured in a heavy dose of kosher salt, thoroughly stirred the mixture, and put the jars in my backyard. Over several weeks, the fish solids settled into a reddish-amber liquid. The transforming sludge, though it was baking in the summer sun, did not smell the least bit foul. Rather, at week four, it was redolent of miso, onion, and, well, salted anchovy. Four months later, I strained the liquid and it was gorgeous—maple-colored and clear of particles. Held to the sunlight, it glowed. However, I had recently read that botulism can grow in environments of less than 10 percent salt. Since I had, for no reason except rookie error, neglected to precisely measure the salt additions, I was uncertain if my fish sauce was safe to consume. Botulism can be treated, but the damage it causes cannot always be reversed, and symptoms of fatigue and shortness of breath can persist for years. I couldn’t be sure that my sauce had enough salt for safety, so I pasteurized it. The heating process ruined the garum, which coagulated and immediately smelled like burned beans and soy sauce. Heartbroken, I dumped it down the drain. Fortunately, I soon got another chance when my two brothers, my two nephews, and I caught enough herring to fill a cooler. I jarred almost eight kilograms of innards and heads and carefully calculated a conservative 20-percent salt addition. Eight months later, I strained out the garum. As a dressing and finishing sauce, it is fishy, gamey, and umami—fantastic. A spoonful does wonders for a batch of kimchi. I have since attempted to make surströmming in glass jars. My rendition has failed to produce the desired stench, and the fish look like perfectly preserved lab specimens—apparently wooden barrels are an essential ingredient. On the other hand, I have had excellent results making burong isda. The rice-fish blend turns into a creamy lacto-slurry in about 10 days. Though salty, it is quite tasty when diluted in a sauté of tomatoes or shredded cabbage and carrot. The dish is traditionally consumed within a few weeks, but I have allowed one batch to ripen for two months and counting. Enthralled by the alchemy of fermentation, the mad scientist in me naturally wonders what six months or a year—or three—would do to a mash of fish and rice. I will find out. With fermentation, time becomes a tool and age an asset. 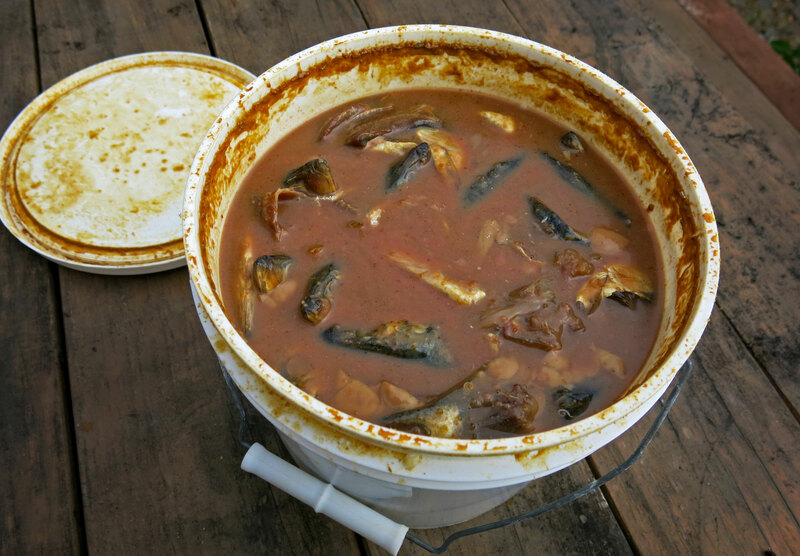 Neither fresh nor foul, fermented fish occupies a place in between. Here, we recalibrate standards of quality and edibility. And, yes, freshness is overrated. Cite this Article: Alastair Bland “Fermenting Fish Takes Guts,” Hakai Magazine, Jan 15, 2019, accessed April 26th, 2019, https://www.hakaimagazine.com/features/fermenting-fish-takes-guts/. The Italian fish sauce—colatura—is made from anchovies and literally adds the Mediterranean into the famously healthy Mediterranean diet. So many good things, however, have a downside. Sea urchin gonads are a popular delicacy in Japan, but they can be difficult to find in restaurants and at seafood counters in British Columbia, which is urchin central.